If fuel economy is your mission here, take a look across the showroom at the 2015 Mitsubishi Mirage. At their very hearts, the Mitsubishi Lancer and Lancer Evolution are tried and true economy cars. While you sure won't need to dig deep to see that, these models also stand out for their relatively sporty driving manners — and we're not just pointing to the amped-up, all-wheel-drive Evolution. Yet that only goes so far. In today's market, as so many other small cars are packing in technology features and stepping up sophistication and refinement, both of these model lines feel a little out of place. Although even the base Lancer isn't a slouch on performance, poor fit and finish and unforgiving road noise can make driving it feel more like a chore than a treat. It's definitely not all bad here, though. 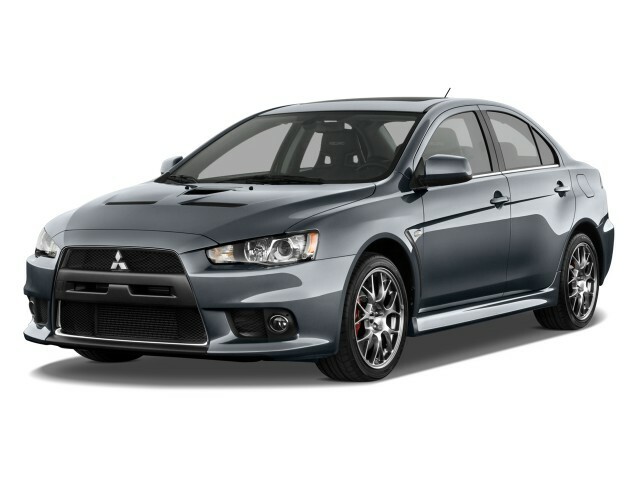 If you look toward the upper end of the Lancer lineup, you'll find a few versions of the car that feel as sporty and rewarding to drive as the Mitsubishis of yesteryear—be it the satisfying Ralliart, or the track-ready Lancer Evolution. Even amongst so many new compact economy cars in the segment, these two vehicles with their all-wheel-drive and turbocharged engines remain interesting and relevant, especially to shoppers who live in colder climates. For 2015, Mitsubishi has added a few new standard features to base models, as well as repackaged a few features into a new Value Pack trim. All models now receive heated power mirrors with built-in turn indicators. 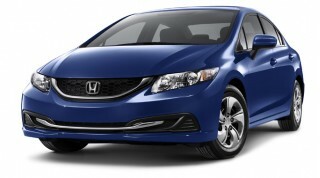 SE models get a sportier front bumper and the FUSE handsfree bluetooth audio system. ES models get an optional Value Pack, which includes the upgraded infotainment system and a few upgraded interior materials. GT models with the CVT automatic transmission get a sunroof, the upgraded Rockford Fosgate sound system, and HID headlamps. The overarching design of the Lancer attractive, bold, and practical, and it still manages to stand out in a good way, seven years after its introduction. Packaging and interior space are impressive, too, and this is one vehicle that makes smart use of its cabin dimensions. At issue, really are the interior details; from a distance, the instrument panel might be described as elegantly simple, yet up close the materials are disappointing, and there's too much hard, hollow plastic. Although there the Lancer is lacking inspiration inside, it tends to make up for that with a neat, responsive driving experience. Steering is also nice and direct throughout the lineup, while handling is reassuring and a bit communicative for all but the more basic models. The Lancer ES has a 152-horsepower, 2.0-liter four-cylinder engine that's perky at lower speeds with the five-speed manual but barely gutsy enough with the continuously variable (CVT) automatic. If you move up to the 168-horsepower, 2.4-liter four that comes in the Lancer GT (or all-wheel-drive SE), you get plenty of power and torque to move this small sedan or hatchback with more confidence. With the CVT, on GT models, you get magnesium steering-wheel paddle shifters with six simulated gears, too. The driving-enthusiast draws of the lineup are the Evolution and Ralliart. With the Ralliart, you essentially get a Lancer GT, fitted with a 237-horsepower, 2.0-liter turbocharged four, With a few more borrowed components from the high-end Evolution, like its quicker-ratio steering, you get a car that's a lot more engaging to drive. Yet those craving track time will want to head straight to the Evo; its much stronger 291-hp engine and sophisticated all-wheel drive system are complemented by serious performance upgrades all around--even a strengthened body structure and aluminum panels--to deliver awesome performance and grip. If drivability is important, though, you might prefer the Ralliart for its better drivability and broader torque curve. Those willing to pay up to $45k for an Evo will have to get past a few hurdles--like how, awesome Recaro seats aside, the interior appointments aren't all that much different than in a $17k base Lancer. The Lancer GT and Ralliart are still the best bets in the lineup if you want that look, at a much lower price. With them, you get a sport suspension, big 18-inch alloys (a fresh design this year), fog lamps, rear spoiler, and air dams, plus automatic climate control, high-contrast gauges, and sport seats. On the outside, the 2015 Mitsubishi Lancer models still stand out; but inside they're drab and unexciting. The 2015 Mitsubishi Lancer has certainly begun to show its age, though it remains relatively handsome, practical, and bold–regardless of your choice between the five-door hatchback or four-door sedan. 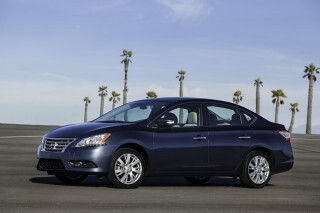 Inside, the Lancer models don't feel as fresh, or as upscale, as the exterior might hint. They lack enough differentiation from the sub-$17k Lancer DE all the way up to a loaded $45k Evo MR. The look barely fits the bill for the simple Lancer ES models, as the competition has upgraded its materials and detailing to such a degree. Provided you don't become obsessed over the details (which will get you down), the sporty layout, with a mix of darker surfaces and matte-metallic trims tends to look quite good. At issue, really are the interior details; from a distance, the instrument panel might be described as elegantly simple, yet up close the materials are disappointing, and there's too much hard, hollow plastic. From the front, that aggressive, sharklike snout still looks a bit daring and different. For standard Lancer models, it calls out 'Evo,' while even on the Evo and Ralliart models it simply fits right in with the rest of the chunky proportions, low-and-lean stance, and high beltline--which altogether give both the sedan and Sportback their nice sense of proportion. You'll need to step up to sportier GT models, as well as the Ralliart or Evo, to get the larger alloys that especially serve to fill out the wheel wells and help the design pop. 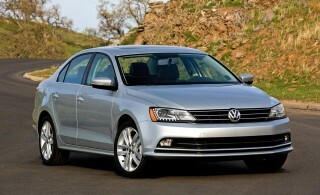 The sedan especially manages to stand out in as stylistically different from both models that try to emulate larger mid-size sedans (like the Chevrolet Cruze and the Volkswagen Jetta) as well as those that are taking a sleeker, creased, and rakish look (such as the Hyundai Elantra or Ford Focus). Turbocharged engines and all-wheel drive make the Ralliart and Evo models a hoot; although you'll find responsive handling everywhere in the lineup. For all of its interior shortcomings, the 2015 Mitsubishi Lancer drives well, especially in its upper trims. The Evolution is of course the performance star of the lineup. It packs a 291-horsepower, 2.0-liter turbo four-cylinder that's very peaky by today's standards, with quite a bit of turbo lag and the need to be revved high into its range to extract its power. When it arrives, it's phenomenal, and delivered confidently with an Active Center Differential, helical-gear front differential, and Active Yaw Control, altogether giving this plebeian sedan the agility, tractability, and poise to match much more expensive sport machines. You can get a notchy five-speed manual gearbox, but our pick would actually be the six-speed 'Twin Clutch SST' gearbox--a dual-clutch automatic that actually serves to help keep you in the turbo boost. If drivability is important, though, you might prefer the Ralliart for its better drivability and broader torque curve. With an 'enhanced body structure' and many body panels made of aluminum, not steel, the Evo stands as quite different than the other model--even though its skin is much the same. The Ralliart is what fills the huge performance gap from those other models up to the Evo. With a lower-boost, 237-hp version of the turbo four, all the body and suspension improvements of the GT, plus the quicker-ratio steering and some other hardware borrowed from the Evo, the Ralliart is the best sweet spot between performance and daily-driver usability for most. While you're missing the high-end AWD system, its engine is much more flexible, and feels just as strong as the Evo's in everyday driving. Don't think Mitsubishi only offers performance-grade Lancers, though. The base models are just a little less interesting behind the wheel. The Lancer ES is the keep-it-simple model in the lineup; it has a 152-horsepower, 2.0-liter four-cylinder engine that's perky at lower speeds with the five-speed manual but barely gutsy enough with the continuously variable (CVT) automatic. If you move up to the 168-horsepower, 2.4-liter four that comes in the Lancer GT (or all-wheel-drive SE), you get plenty of power and torque to move this small sedan or hatchback with more confidence. With the CVT, on GT models, you get magnesium steering-wheel paddle shifters with six simulated gears, too. A new SE model was introduced in 2013 and essentially fits all-wheel drive (not the Evo's Super All Wheel Control system, but the more ordinary AWD system also used in the Outlander Sport) and the 2.4-liter. It builds onto the ES rather than the GT, and clearly aspires to snowy driveways, not the rally stage. The Lancer is space-efficient and comfortable inside, although road noise and chintzy switchgear provide plenty of turnoffs. In the 2015 Mitsubishi Lancer's case, quality is a double-edged sword. On one hand, the car makes excellent use of its interior dimensions, especially in its five-door hatchback guise. However, detail to fit, finish, and materials leaves much to be desired–especially in comparison to the segment's otherwise excellent alternatives. One one side, the interior noise and lack of ride comfort could be deal-breakers. DE and ES models (and SE) come with a slightly softer suspension and more forgiving tires that comfort-oriented buyers will probably prefer. But especially in GT form, the Lancer rides quite hard, and with plenty of road noise to match the engine noise. And in CVT models the engine gets raucous and buzzy on acceleration. You might hope that Evolution or Ralliart models would be a step up in refinement, but they're really not, and those with back issues shouldn't even think about it. In the Evo, the better sport seats do help some, but its structure pounds and rings as its ride is downright jarring on pothole-ridden Rust Belt roads. However, whether you go with the Sportback (hatchback) body style or the sedan (Lancer, Ralliart, or Evolution), you get a relatively boxy, straightforward cabin shape, and that brings impressive interior space, as well as good usability and versatility. Safety ratings are respectable, and there's extra reassurance in its good handling and comprehensive safety feature roster. The 2015 Mitsubishi Lancer comes with all of the expected safety technologies, as well as the crisp, direct driving dynamics you'd need to potentially avoid an accident. 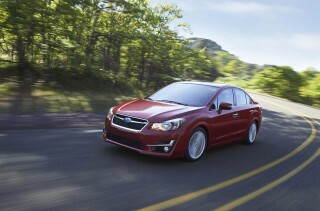 The National Highway Traffic Safety Administration (NHTSA) has rated the 2015 Lancer with four stars across the board. And the Insurance Institute for Highway Safety (IIHS) has given the Lancer top 'good' ratings in frontal offset, side impact, and rear impact tests, along with the roof strength test (and 'acceptable' in the small overlap frontal test—good enough for a Top Safety Pick award. Neither agency extends these results to Evolution and Ralliart models. 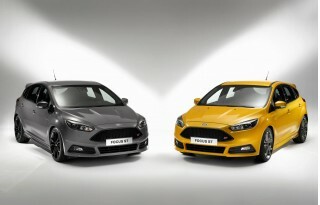 The Evolution has its own exclusive, stronger and performance-focused body structure. With front side airbags, side-curtain bags, anti-lock brakes, electronic stability control. and a driver's knee airbag all included throughout the Lancer line, there's nothing sorely missing--at least not in a car with the price point of the base Lancer ES. Because of the Lancer's rather tall beltline and thick rear pillars, it could be tough for some to see out when changing lanes or backing up (taller drivers won't have issue), so check that on the test drive. The Evo is pricey; yet most of the Lancer and Ralliart lineup is priced competitively -- and pretty well equipped. At the top of the lineup is the Lancer Evo, with its track-tuned performance and $35k+ mark with the GSR model. The GSR is the more basic take on the Evo that includes a slightly more compliant suspension, better wheels, and HID headlamps, plus other extras like remote start and the FAST hands-free entry system. Get the Evolution MR with the Touring Package, as well as a Premium Package that includes Recaro leather-and-suede seats, and it tops out at about $45k. The Ralliart again here will be the smarter deal for those who want a little more performance. In addition to its turbo engine, the Ralliart includes most of the GT's equipment, plus standard leather trim and aluminum pedals, as well as a hands-free entry system. The ES, GT, and SE models include a good list of standard features, plus some high-tech options that aren't widely offered in this affordable class of vehicle. Most people will be happy with the mid-grade ES, adding stabilizer bars, ventilated disc brakes (rear discs with the available alloy wheels), a split-folding backseat, steering-wheel audio controls, keyless entry, and air conditioning. 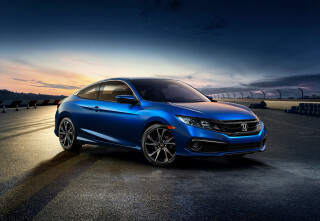 With the ES you add the larger 2.4-liter engine plus all-weather all-wheel drive, to appeal to those in Northern climates wanting AWD but not the performance ability of the Ralliart or Evolution. Meanwhile, the sporty GT lives up to its Evo look, with a sport suspension, big 18-inch alloys, fog lamps, rear spoiler, and air dams, plus automatic climate control, high-contrast gauges, and sport seats. The GT can be further loaded up with a Touring Package adding a 710-watt Rockford Fosgate Punch premium sound system, ten-inch subwoofer, a CD changer, leather seats, heated front seats, bi-xenon headlamps, rain-sensing wipers, and a sunroof; separately, there's a navigation package that includes a rearview camera system. Lancer, Ralliart, or Evo, you probably won't find the mileage numbers impressive. Fuel economy isn't a strength for the 2015 Mitsubishi Lancer, and many mid-size sedans actually deliver better EPA estimates. 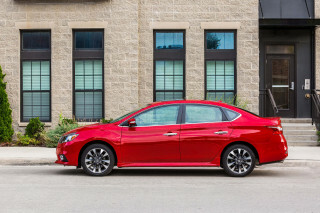 And if you want all-wheel drive, be prepared for numbers that are lower than those of the AWD Subaru Impreza and its 36 mpg highway; the AWD SE rates just 22/29. The performance models in the lineup are of course at the back of the pack. The Ralliart only manages 18 mpg city, 25 highway, and the Evo is rated as low as 17/22. Love it! Wouldn't trade it for another one! Nice car! Good on gas! Looking for a different year of the Mitsubishi Lancer?